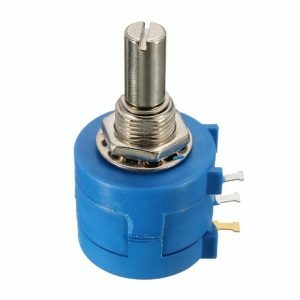 This is a 10-Turn Potentiometer that will allow you to precisely dial in your desired current. Useful for replacing an existing stock pot or replacing a digital panel. 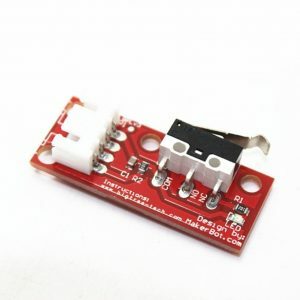 This product is just the potentiometer as pictured, with no knob or wiring, and will require soldering to replace a pot and additional wiring to replace a digital panel. Mechanical Limit Switch with 1 meter cable. 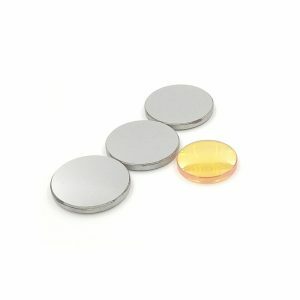 Possible use for K40 Door Switch, to replace K40 endstops, or other machine applications. 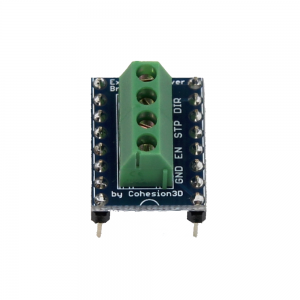 Plug directly into Endstop Connectors Sig and Gnd pins on Cohesion3D Boards. Cable to directly connect our External Stepper Driver to the Cohesion3D LaserBoard. 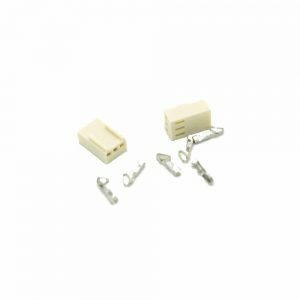 This is a set of 4 Cables to connect to all 4 Axes of LaserBoard, should you need them. 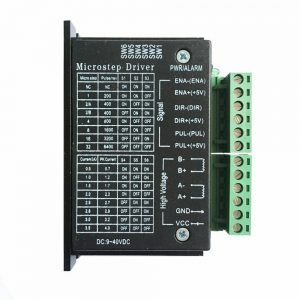 Up to 4 Amps external stepper driver capable of driving a heavier Z table or rotary axis or just a larger machine. 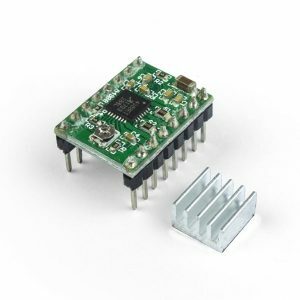 This adapter goes into a Pololu-Style Stepper Driver Socket and breaks out the STEP, DIRECTION, ENABLE, and GROUND pins to a 3.5mm screw terminal. 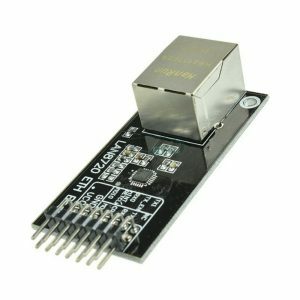 This is a great way to go from a A4988 or DRV8825 on-board stepper driver to breakout the signals to use external drivers, for larger motors and more powerful applications. 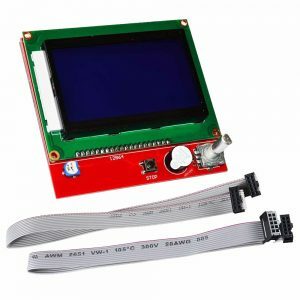 This adapter allows connecting our Graphic LCD Panel to the Cohesion3D Mini/ LaserBoard via the expansion header. 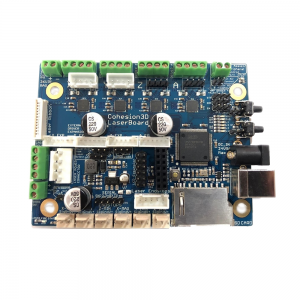 The Graphic LCD Control Panel connects directly to your Cohesion3D ReMix and to the Cohesion3D Mini/ LaserBoard via the GLCD Adapter (available separately) to provide a heads up display with Machine Position, Temperatures, and Status. The click encoder allows you to navigate menus to interact with your 3D Printer, CNC, Laser Cutter, or other machine type. 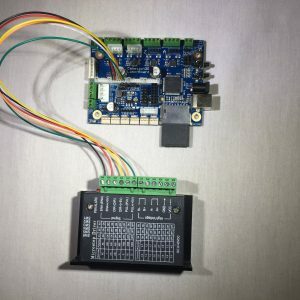 Finally, you can save gCode files to the MicroSD Card in your Cohesion3D board and use the GLCD to run that, all without having to be tethered to a computer. 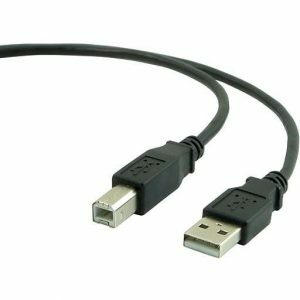 High Quality USB Cable. The Cable that comes with the K40 is known to not work properly and can cause issues communicating with the Cohesion3D Boards. 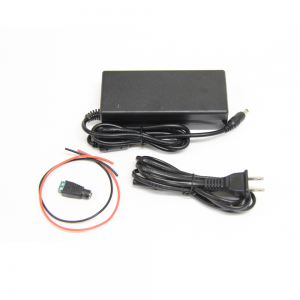 This kit includes a high quality 24V 4A DC Power Supply with USA Wall-Outlet Cable and necessary adapter and wiring to connect to Cohesion3D Mini. 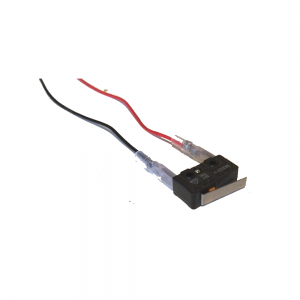 Great for upgrading to a separate power supply in your laser cutter to prevent brownouts, run at faster speeds, and hook up a Z Table and Rotary Attachment, all without having to handle any AC wiring! 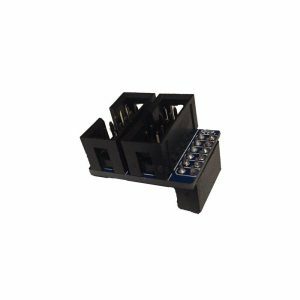 Connector pack includes 2, 3, and 4 pin housings and crimp pins, enough to setup a Cohesion3D Mini or LaserBoard. The Cohesion3D ReMix uses the same type of connectors, you would just need more of them. If so you could just get 2 packs of this Mini connector pack. Ethernet Expansion Board compatible with Cohesion3D ReMix and Mini. Enables Smoothie Network Interface, board will emit a webpage that can be accessed on your local network. Upload files, run jobs, and control your machine. 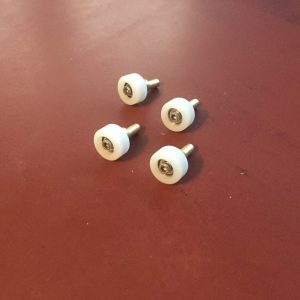 This is the typical Mechanical Endstop found on RepRap and many other kinds of 3D Printers. 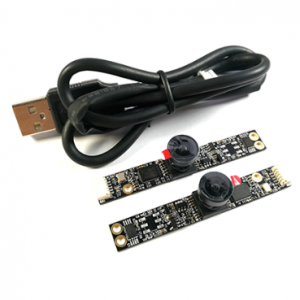 It comes with a 70cm cable and is compatible with Cohesion3D Control Boards.